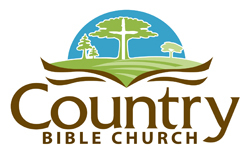 Country Bible Church is a nondenominational Bible Church. We are an imperfect people being changed by our perfect God through the working out of the gospel in our lives. One of the best ways to get to know us is to join us for our weekly worship service Sunday mornings at 10:30. Please click HERE to find out what our beliefs are.